This game is a return to The Emirates for us, which should see us turn in a decent performance, right? Currently, we have no idea what version of our side will turn up. Our performance in our last game – the 1-1 draw against West Brom – was slow and contained very little attacking threat. 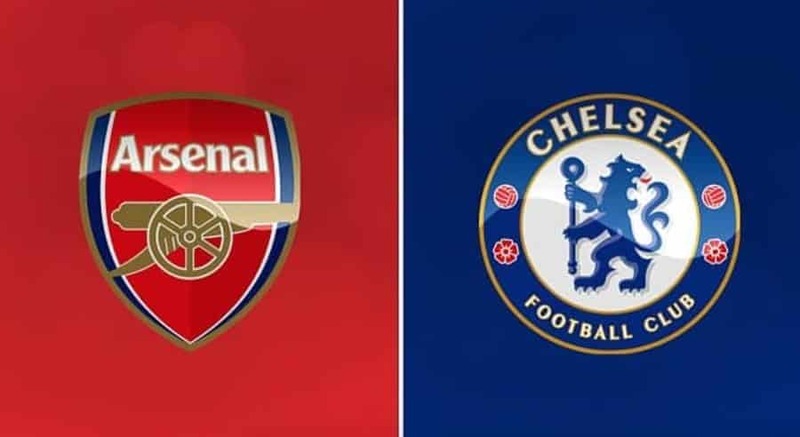 We will need to raise the level well above that if we’re to win this game, as Chelsea come to The Emirates on the back of some good form. The Blues last game was a 5-0 thrashing of Stoke, and they can afford to rotate their attack and not feel any impact. Pedro, Fabregas and Willian are just three names that can come in after not featuring regularly and freshen up tired legs. Antonio Conte will have had this game in the forefront of his mind, so to see his team win at a canter in their last game would have afforded Conte breathing space with his substitutions and his selection. We have some real worries on the injury front. The usual suspects – Nacho Monreal, Olivier Giroud and Aaron Ramsey – are still sidelined, but our 1-1 draw against the Baggies hurt more than just our league position. Laurent Koscielny and Sead Kolasinac both limped off in the game, and Mesut Ozil failed to make the matchday squad. All three are integral to our side, so we will be sweating on them all the way until the eve of the match. Should these three miss out, then Per Mertesacker, Ainslie Maitland-Niles and Alex Iwobi all wait for selection. Mesut Ozil will be especially missed for this match. His absence in the 1-1 draw against Pardew’s Albion saw us plod and look out of ideas in the final third. It was clear what the German brings to the side during the game, and his brain could prove the difference between victory and defeat. If we are to make a dent in Chelsea’s team, then it could be in the centre of the park. Tiemoue Bakayoko is a really great player, but the midfielder is struggling to maintain the levels needed for the physicality of a whole Premier League campaign. If Granit Xhaka and Jack Wilshere both press him and have a blinder, we could run the game and keep the ball away from dangermen Eden Hazard and Alvaro Morata. The ominous facts are that Chelsea haven’t lost in six games, and haven’t conceded in the league for four matches. They have a settled backline and have been lucky enough to avoid key injuries. If Antonio Conte can name a similar side to the one that defeated Stoke, then we may find the going tough. On the flipside though, we are the home side that needs the points more – in the recent wins we’ve had over Conte’s side we have shown that if we take the game to them from the first whistle, then we can win it – there is no room for the methodical, slow football that we are prone to at times. Chelsea will destroy that tactic quickly. we fail at either, then this season will have been the worst in Wenger’s tenure. Time to be ruthless. Win or bust. Mike Dean and co may have a bearing in the future, but if we play well enough, it shouldn’t matter. Predicted lineup – Cech, Mustafi, Mertesacker, Chambers, Xhaka, Wilshere, Bellerin, Maitland-Niles, Welbeck, Alexis, Lacazette. Next ›Arsenal’s new defensive signing! Your predicted score has a familiar ring to it – here’s hoping your mojo is working properly this time. I really hope I’m right. It doesn’t feel correct if I predict a losing score line! I share your dread of accepting anything un-Arsenal, I hate the gritted teeth feeling when I concede that the opponents were the better team, although I’m rapidly becoming desensitised in that department. Maybe you could try the reverse psychology ploy and predict in favour of our foe. That wouldn’t be fair though as I’d be asking you to do something I’d never do myself. It’s rather like being on your knees at the guillotine, waiting for the blade to come down and hoping that something will impede its fall. Excellent way of describing it! I know that Chelsea on paper have the upper hand, but I can’t concede defeat! You’re so right about getting desensitised as well! Same to you good fellow!